After our amazing six days in Maui, it was time to head to our final island, Kauai. 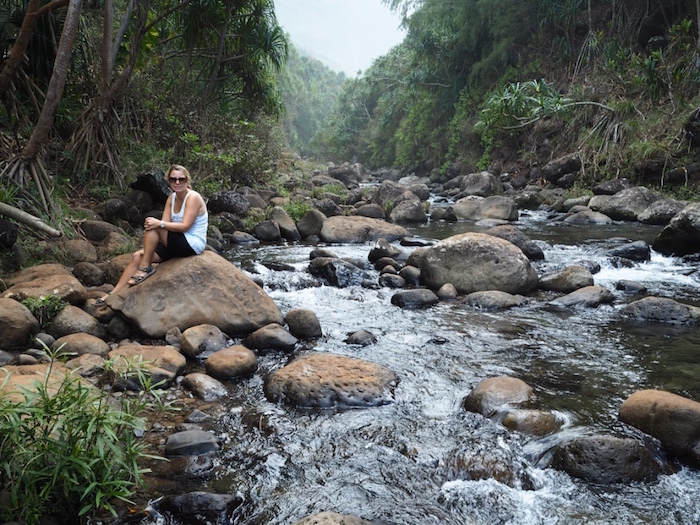 I read that Kauai was even more beautiful than Maui (if that’s even possible) and a lot less touristy. We both were really sad to leave Maui after the awesome time we had there. How could Kauai possibly top that I wondered? 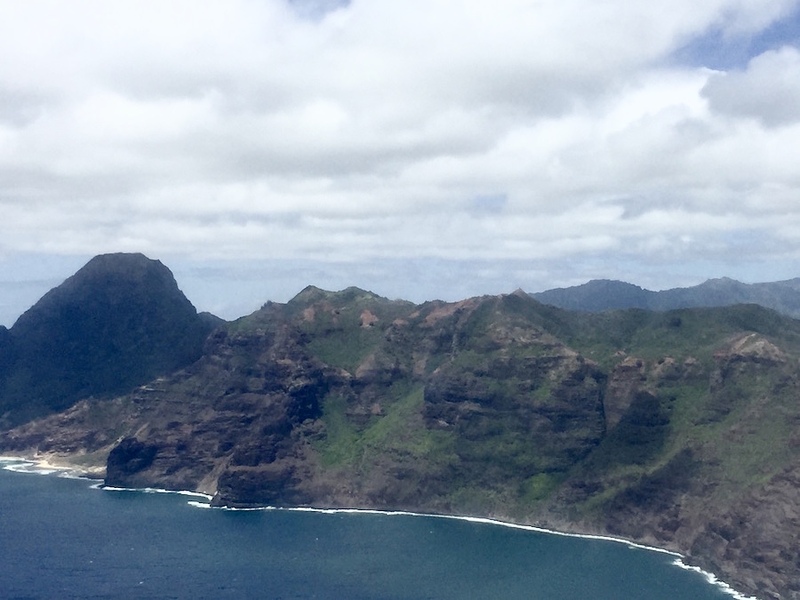 As the plane descended towards Kauai I started to understand what people meant. Not that Maui wasn’t beautiful but Kauai is a whole other level of beautifulness! Its mountainous green hills were just breathtaking. I was suddenly so excited! On to the next adventure! 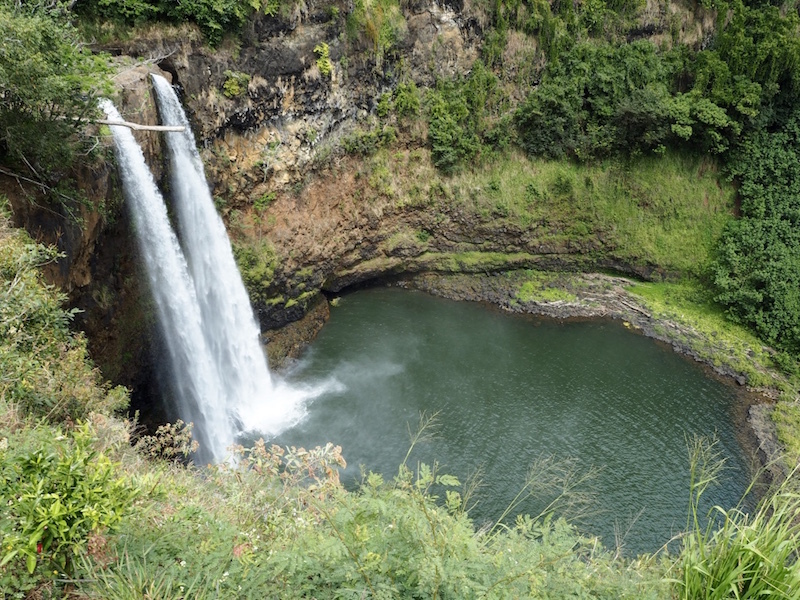 Your first stop in Kauai should be Wailua Falls because they are simply stunning and only ten minutes drive from the airport. The twin falls are very famous as they feature in the opening credits of Fantasy Island. It is now forbidden to go down to the pool but a photo from the top is a must! After months of researching we decided to stay in the Poipu area at the Lawai Beach Resort; mainly because the weather seemed safer than the North and also because Lawai Beach has some of the best snorkelling on the island at this time of the year. 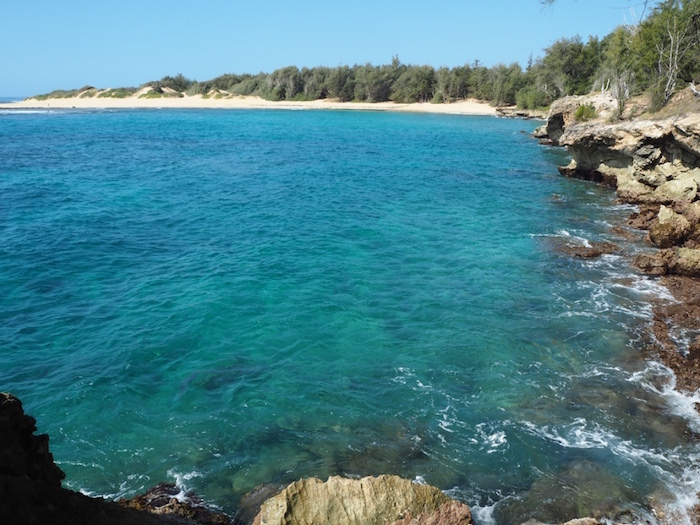 In winter the North Shore is too rough for snorkelling. Yes I have a severe addiction to snorkelling; especially when there are turtles involved! 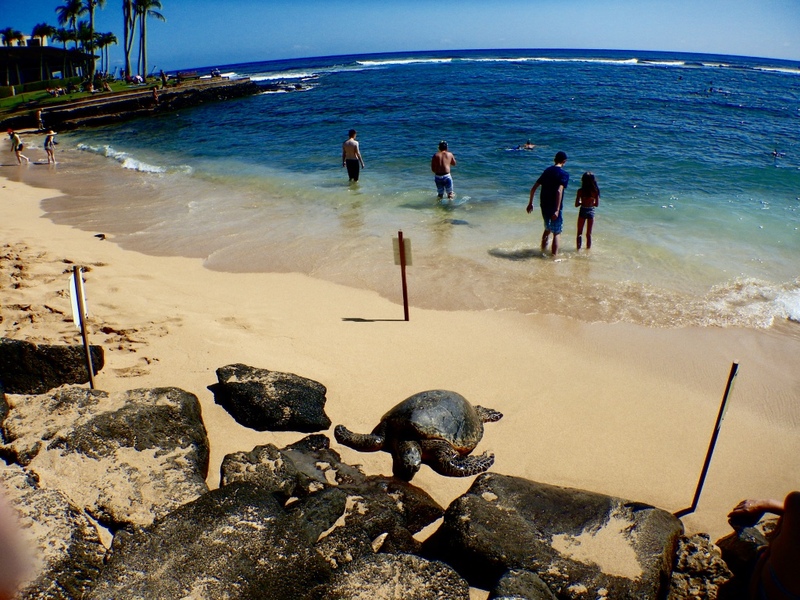 A sea turtle taking a break on Lawai Beach before heading back into the water. Lawai Beach was very small but the snorkelling was amazing and there were many turtles around. Within minutes we had sea turtles swimming right next to us. 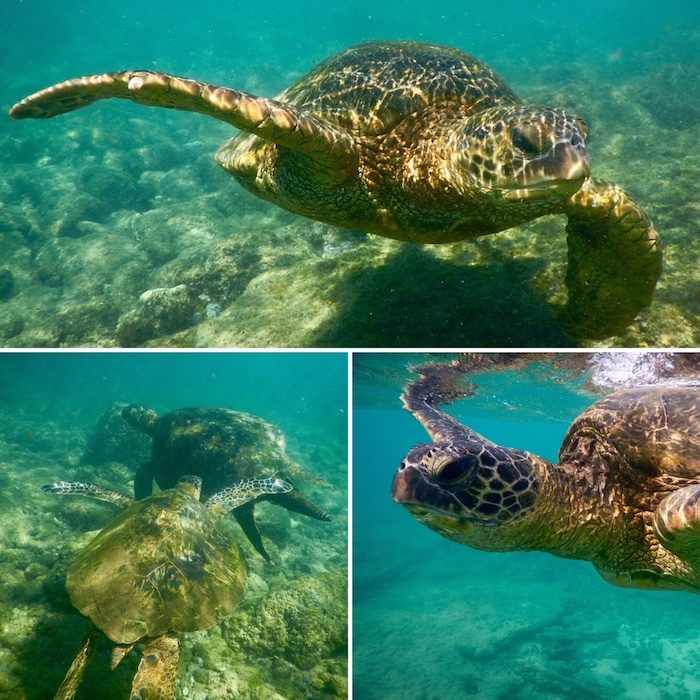 One day we saw four turtles in one snorkelling session! I was in heaven. The fish life was good but not quite as abundant as some of the beaches on Maui, but it certainly made up for it with the turtles. 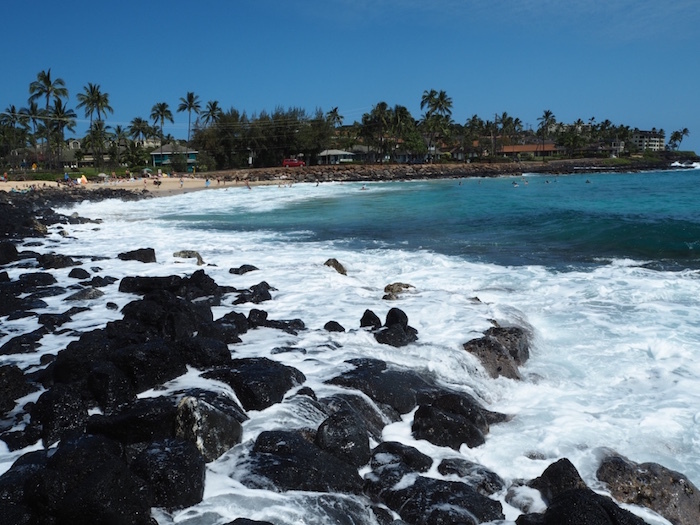 Poipu Beach just five minutes away was also great for swimming and snorkelling. 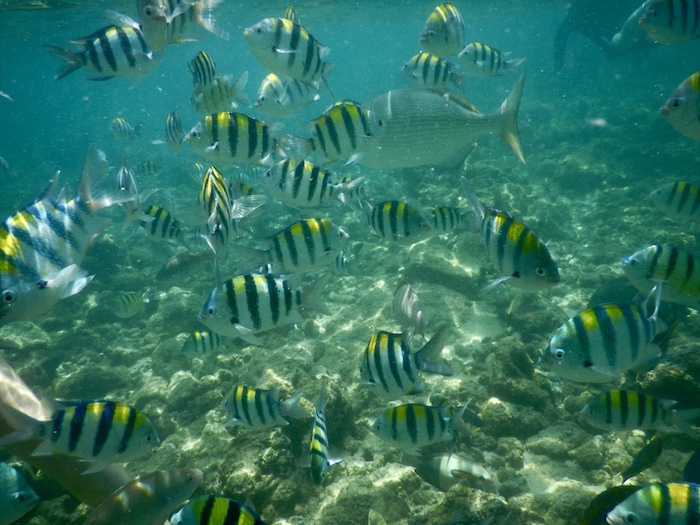 As we entered the water we were surrounded by tropical fish. It was just like swimming in an aquarium. 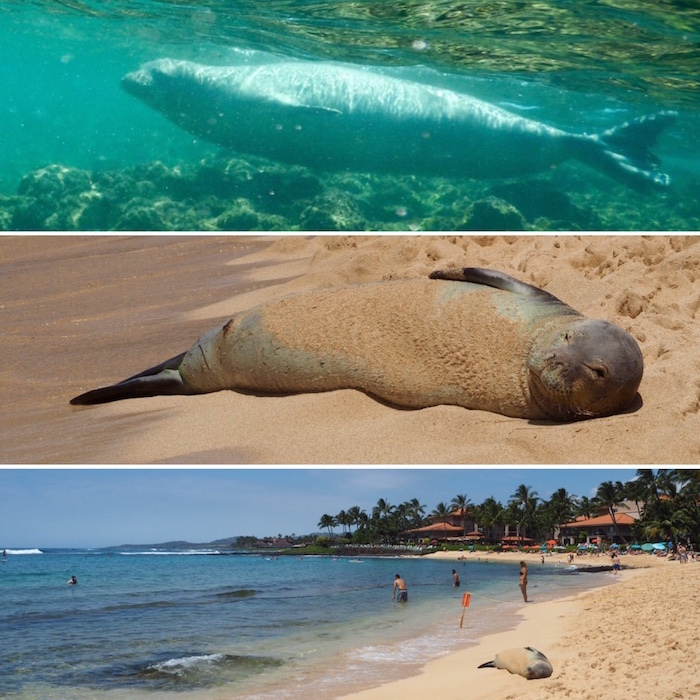 Poipu beach is also famous for having endangered Monk seals sleeping on its shores. I love seals, so I was really hoping to spot one. There were none lying on the beach when we arrived but after a few minutes of snorkelling all of a sudden a seal swam right by me headed for shore! It was one of those moments when you think “Hang on is this real?”. This cute little guy made his way to the beach where he decided to nap for a while. Wildlife volunteers came with to rope off a perimeter around him so people didn’t get too close to him. What an incredible moment that was! Brennecke’s Beach right next door to Poipu Beach was too rough for us to snorkel at the time (it is more renowned for body boarding) but as we stood on the rocks we could spot turtles playing in the waves. We could count at least five so we took note to come back another day for snorkelling. Sadly when we finally made it back it was still pretty rough so we didn’t get to snorkel there but my guess is that it would be a great spot with quieter waters. 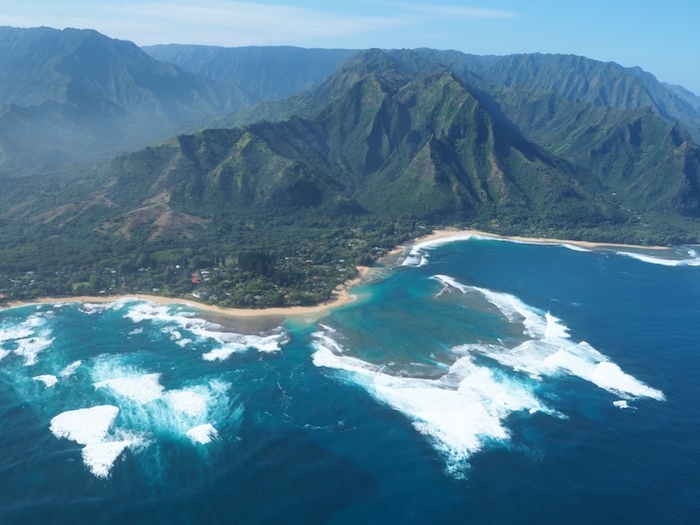 One area not to miss on Kauai is the North Shore. As we drove from the South to the North the scenery changed dramatically; it suddenly became more lush and tropical. The further north we got the more breathtaking it became. Some parts felt like we were in a movie. Probably because the North Shore has been used in many movies! Of course being the North Shore the weather can suddenly turn on you. In our case, it was sunny again a few minutes later! 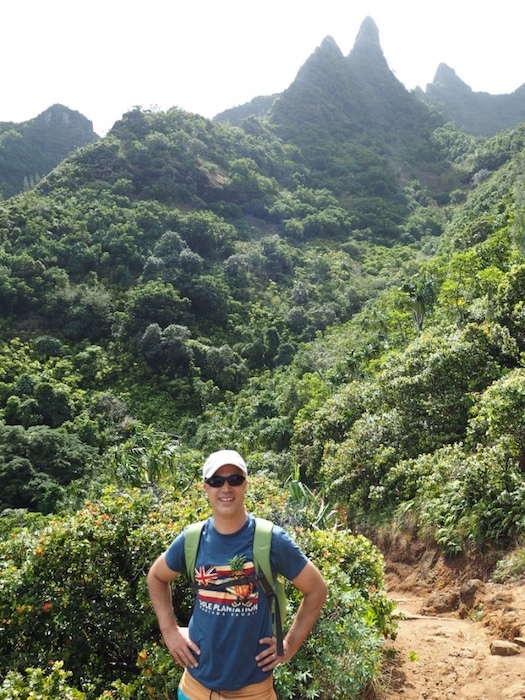 Hiking some or all of the Kalaula trail is the main attraction of the North Shore. Be sure to start early because parking in the small parking lot is nearly impossible if you don’t and you could get a parking ticket for parking on the side of the road like we did (oops)! We were planning on doing the hike to Hanakapi’ai falls but after stopping for many pictures on the way from the South, and struggling to get parking we started too late and the weather was not looking promising so we ended up turning back at Hanakapi’ai beach which was a four mile return hike. It was a great hike, although a bit slippery at times. 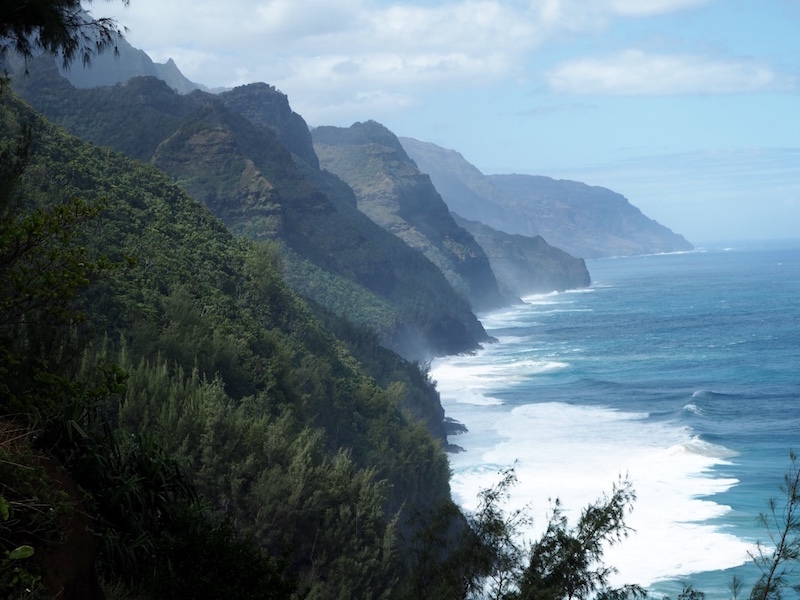 The views of the Napali Coast around every corner were amazing and made the effort worth it. Just before you get to the beach you have to cross a stream. In winter this stream can be quite wild. And of course if you are as clumsy as me you might slip and fall in the water! It is actually quite dangerous as you can get swept away by the current so be very careful. Hanakapi’ai beach was unrecognisable from the pictures I had seen. Apparently in winter the beach disappears and only the rocks remains. The water was really wild. On our way down we saw signs warning against swimming there with a count of how many people had died trying (they stopped counting at 83!). There was no way I would have attempted to swim there! 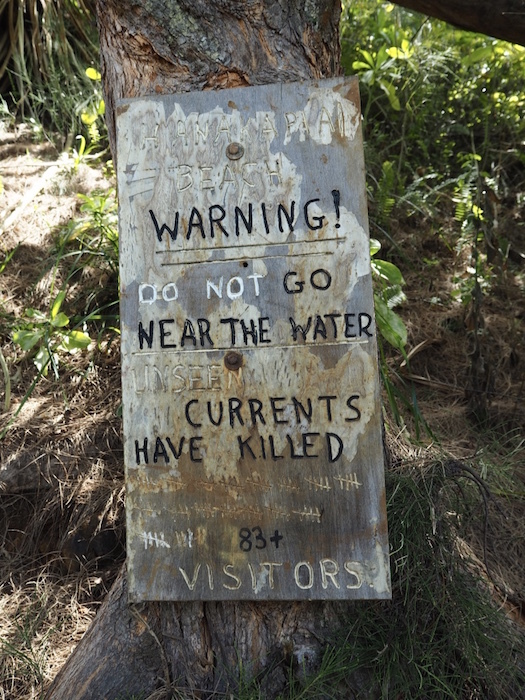 A warning sign on the Kalalau trail. Enough to discourage us from swimming! 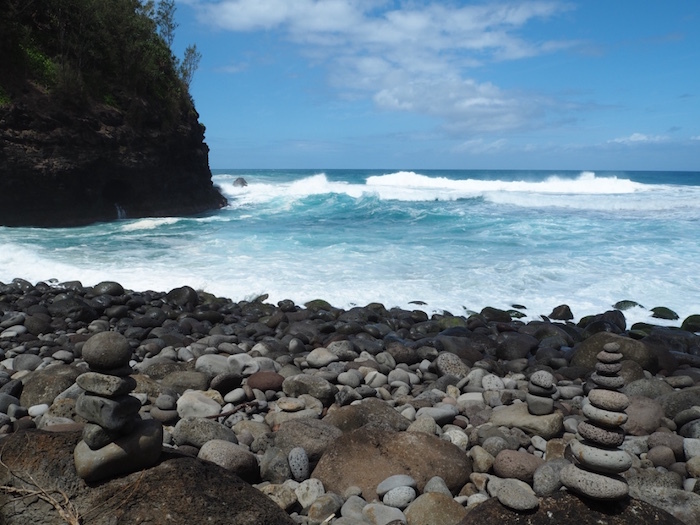 After a lovely picnic lunch on beautiful Ke’e beach (closed at the time because of strong currents) we made a few stops on the North Shore. Tunnel’s Beach which is supposed to have some great snorkelling was way too rough for us to attempt but the beach itself was stunning and worth a stop for a stroll. 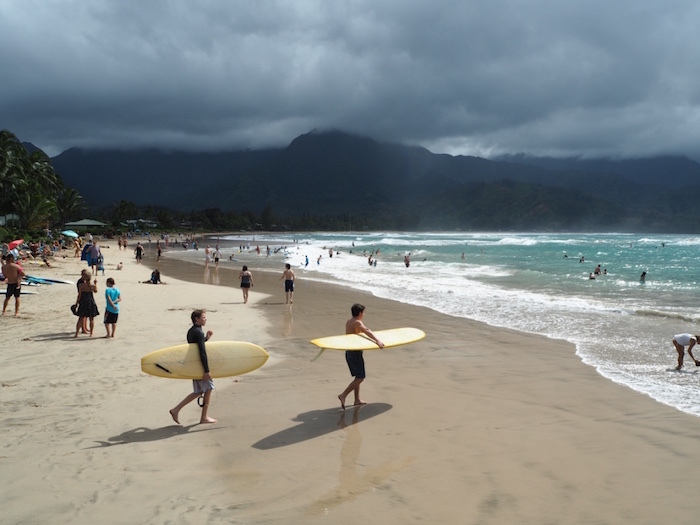 Hanalei Bay was another great spot. The Beach has been voted the best in the United States many times and I can see why. With a splendid backdrop of the mountains behind it, it is the longest beach on the North Shore. It is popular with locals for swimming, paddle boarding and surfing. Being Sunday the place was packed. It was a great spot to stop for a while and people watch. Sitting there, I could easily imagine how nice it would be to be live there. Our last stop on the North Shore was Queen’s Bath. I had seen many pictures of Queen’s Bath. Of course by the time we got down there I couldn’t find anything resembling what I was expecting. 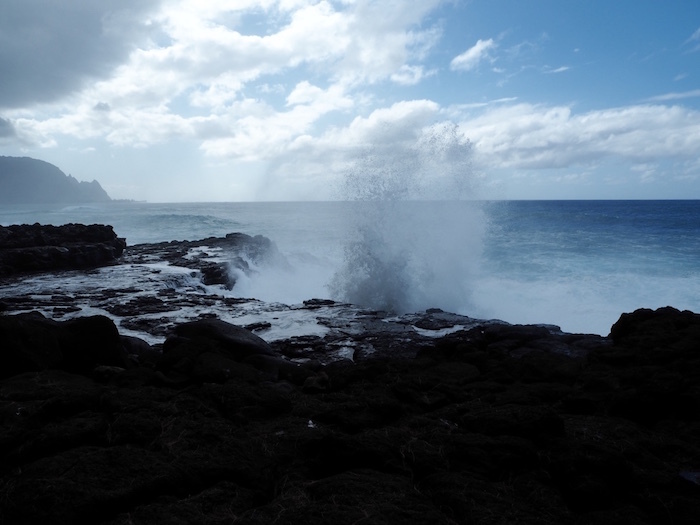 As we were walking on the rocks trying to find it, the ocean below us was so rough that it was quite scary. We tried to stay as far away from the edge as possible which was a good move. Some locals were also there and one showed us where the bath was. It was basically right near where we were standing but because it was winter and the water was so rough it just did not look like a bath anymore, just a wash of whitewater. This friendly local explained to us that many people die after falling into the water after being hit by freak waves when they walk too close to the edge. In fact one had died just the week prior to our arrival. It’s something to be very wary of if you visit. 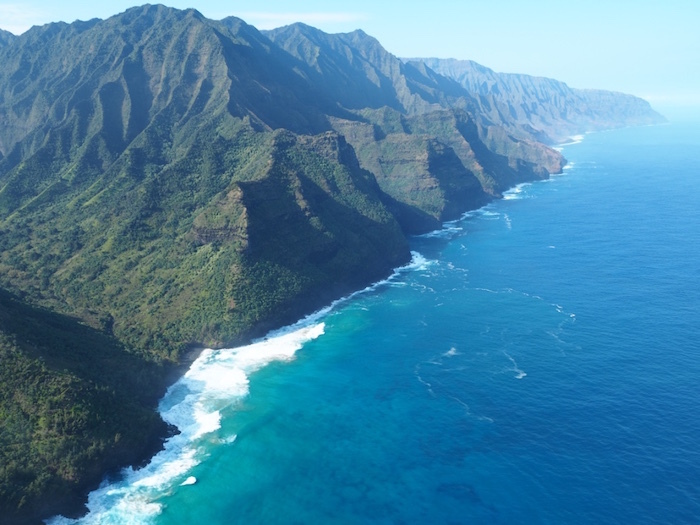 We happened to be in Kauai for our wedding anniversary and what better a way to spend it than by taking a helicopter ride over this beautiful island? Because we had been in a helicopter before we decided to take the doors off option. It was the best decision we ever made! We used Mauna Loa Helicopters as they did private tours for the same price as other companies shared ones. That meant we both got to enjoy the doors off experience. Mauna Loa were really great. Our pilot was very knowledgeable and he had forty years of experience. We certainly felt safe up there with him. The flight was for a whole hour and it went all around the island. 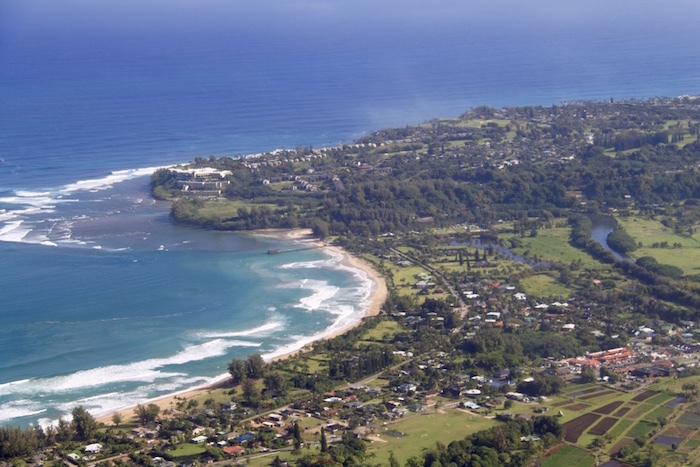 Seeing Kauai from the air is totally worth it and gives you a different perspective of the island. 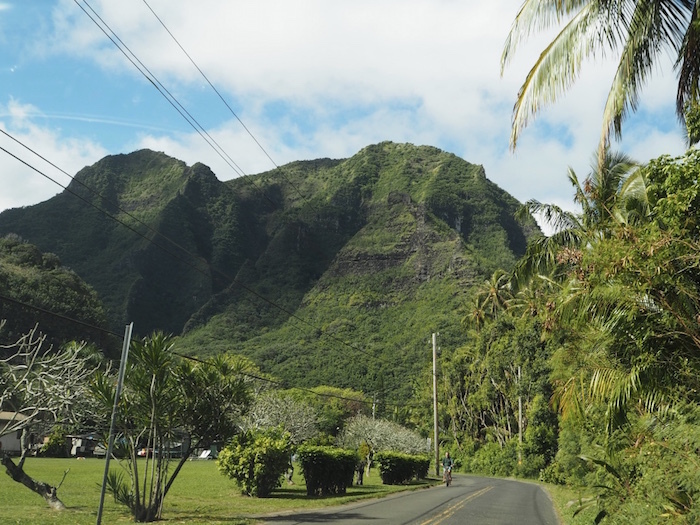 Plus you get to enjoy all of the amazing scenery, waterfalls and the stunning Napali Coast from the air. 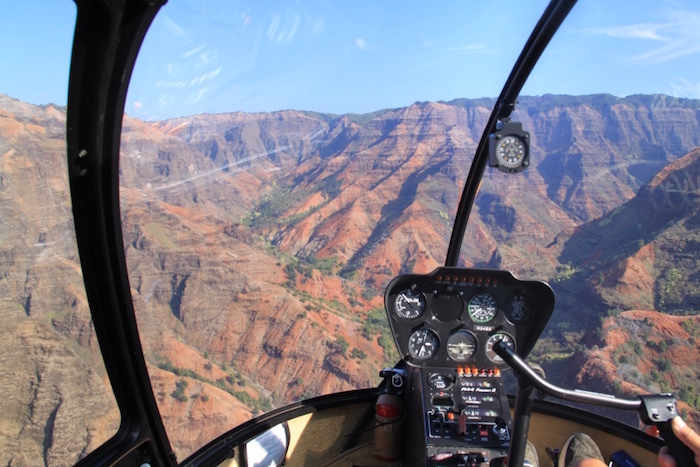 Your jaw will literally drop as you fly over the Napali Coast. There are no words to describe how incredible that was. I know it may sound scary to some but with the doors off option you can take some great photos! It was definitely the highlight of our trip. We did the early morning ride and we were lucky to also have some great weather which topped off a great experience. 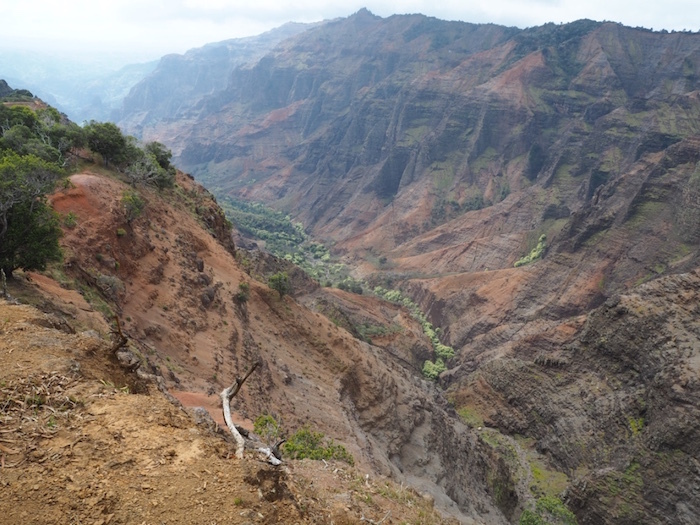 Another great thing to do on Kauia is a day trip to the Waimea Canyon. There are many hiking trails to do in this National Park as well. We took the four mile return Canyon Trail. Its a great trail with fantastic views of the canyon on the way down. As we got near the bottom of the trail it started pouring down with rain and the way up was very slippery and wet. The weather is very unpredictable on this part of the island so make sure to pack rain jackets. There are also many lookouts in the area if you don’t feel like hiking, although when the weather turns bad some of them may not have much of a view. 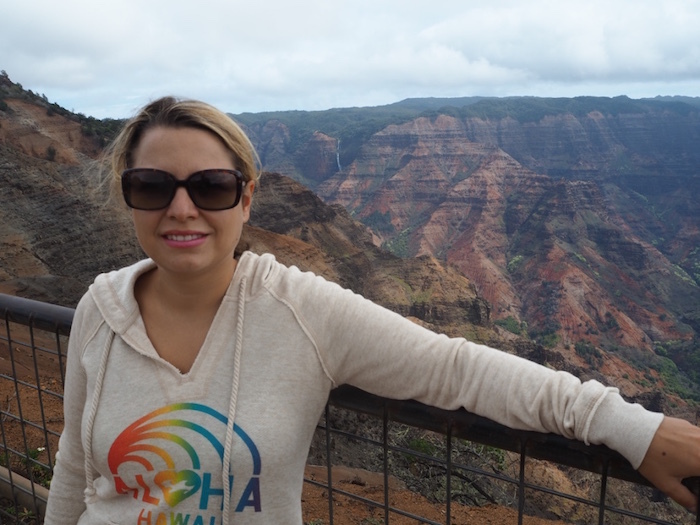 We got a bit of a surprise after we drove up to the Kalalau Lookout and got a nice view of nothing but clouds! On our last day we got up early to walk the Maha’ulepu Heritage trail. 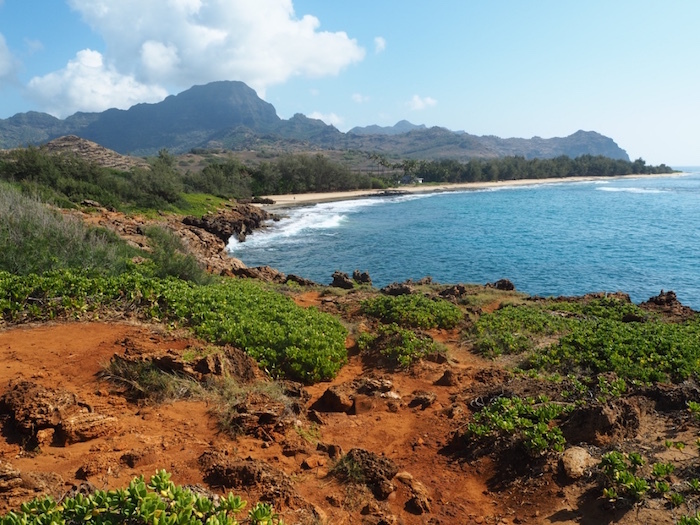 Starting at Shipwreck Beach just behind the Grand Hyatt in Poipu, it is a four miles return coastal trail which takes you to Keoneloa Bay. What a stunning walk! It takes you through sand dunes, rocky areas, a stunning golf course (that almost made me want to take up golf!) and some deserted beaches. If you do it in winter you may spot a humpback whale in the distance frolicking in the water like we did. It’s a great way to spend a few hours on a beautiful sunny day. 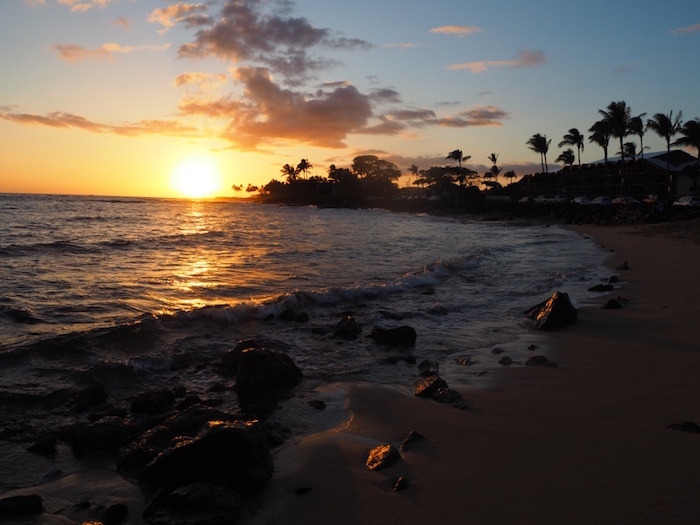 Of course sunset in Kauai was also a big thing. The beach house across the road from our resort was a popular spot for sunset with many people heading there each night. Sometimes we could see turtles popping their heads out for air as we were watching the sunset. Such a great time of the day! So the verdict? Kauai was definitely our favourite island. 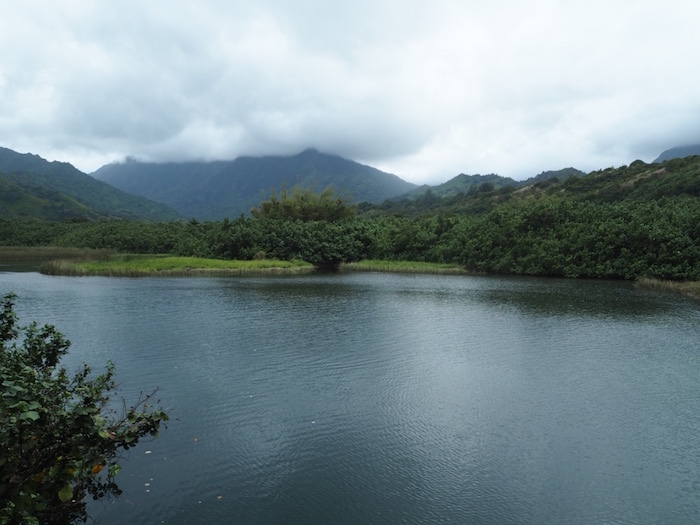 Kauai was so lush, so stunning, so quiet. It had so much more to do than I was expecting which meant that five days was just not enough. When we told our pilot we were only on the island for five days he jokingly asked “did you not get the memo that two weeks is the minimum?”. I now know why. Two weeks might sound like a lot but I am pretty sure we could fill them in easily. We are really looking forward to some more time on Kauai in the future. Who knows maybe we will get the two weeks memo then! We met an American couple at sunset one day who had been coming to Kauai every year for the last twenty six years. I am not the sort of person to go back to the same place as there are way too many different places I want to see. But I am pretty sure Kauai would be somewhere I would not get tired off.